David Mann has an intimate knowledge of the Native Ameican culture, because of living among them at one time. When horses were introduced to the Indians, they became "Native Wealth" for the many purposes they served. 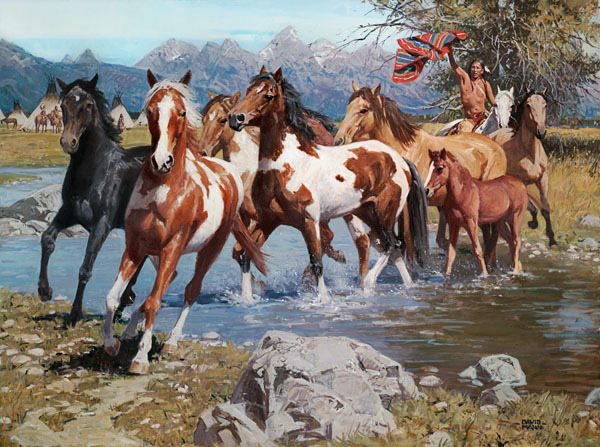 As this brave guides his herd across the water, he knows these new horses will contribute to his tribe's "Native Wealth."